Following all physical and emotional trauma and through poor posture, fascia scars and hardens in the affected site and along the tension lines imposed on it. This causes the fascial network to lose its cushioning mechanism and internal structures become pulled out of alignment. This in turn creates an abnormal pressure, up to 2,000 pounds (Katake 1961) per square inch, crushing nerves, blood and lymphatic vessels and further creating tension on adjacent pain-sensitive structures and those along the fascial pull. Fascial restrictions do not show up on CAT scans, MRI’s or X Rays therefore many patients are suffering unresolved physical and emotional pain due to undiagnosed fascial trauma. Conditions are a label for a symptom. Traditional healthcare treats the symptom, MFR with its whole body approach treats the cause at the deepest level. Myofascial Release Therapy, like many alternative therapies, promotes the philosophy that the mind and body work together to maintain health. Effectively this supports the understanding that the mind and body are one and the same. The body has the ability to remember postural positions, actions and emotions without the brain reminding it to do so. Throughout the body’s fascial system flow microscopic cells containing energy which have the ability to retain memory. Myofascial release technique blends gentle stretching and massage in order to release the restrictions present in connective tissue surrounding organs and muscles in the body. This therapy is also beneficial in relieving the restricted movement as a result of constricted fascia because of injury. Pain causes both emotional and physical stresses to the body. In some instances, the pain patterns develop and thus a person feels as if the pain has reached all parts of the body. Myofascial release not only works on painful parts, but it also addresses other dysfunctional areas throughout a person’s body. It works through enabling the nerve receptors, lymph and blood to work efficiently. Furthermore it enhances the secretion of endorphins and thus eliminates the requirement of other prescription drugs. Myofascial release enhances blood flow and enables nutrients to reach the desired tissues, while making sure that metabolic wastes are removed. In fact, most circulatory conditions could possibly be alleviated or helped through releasing the fascia responsible for preventing optimal function of the body. Key symptoms of nerve pain include tingling, numbness or pain in ones legs and arms. 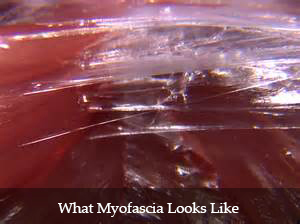 The cause of these symptoms is basically fascia adhesions that are pressing on the nerves. By using myofascial release, the pressure being placed on nerves is released providing relief to affected areas. One of the most important systems in the body is the immune system as it helps to guard against infections and heal wounds. If the lymphatic flow is affected due to fascia pulls, the immune systems function is compromised. Myofascial release enhances lymph circulation in the entire body and this accelerates recovery from illnesses and injuries. Myofascial release has some discomforting side effects that you should be aware of. You are likely going to experience soreness for quite a number of hours after treatment. Usually, improvement is seen after soreness.